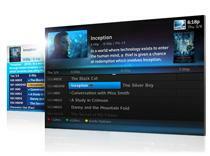 DirecTV customers are getting a faster, better looking user interface, but when is a mystery. One of the things that people really don't think about often enough when talking about their cable or satellite service is the interface that they have to deal with when trying to find their favorite show, bring up some on demand programming or access a recording. A good UI often goes unnoticed while a bad one can completely break the experience. DirecTV's new update is going to bring a lot to the table. For starters, the guide has been completely redesigned for HD televisions and looks much nicer than it used to. DirecTV is pretty high on this, and they've added plenty of colorful graphics to the menu, including images for the shows you watch and those that it recommends to you. Perhaps most importantly, everything moves faster. Significantly faster, according to the people who are currently in the beta test for the new interface. After all, as pretty as the interface is, it's not what you've turned on the TV to see.